The model RLS-4000 float switch with optional temperature output has been designed for the recording of level and temperature at hazardous measuring points. The stainless steel used is suitable for a multitude of media, such as, for example, oil, diesel and refrigerants. A permanent magnet built into the float triggers, with its magnetic field, the potential-free reed contacts built into the guide tube. The triggering of the reed contacts by the permanent magnet is contact-free and thus free from wear. Depending on customer wishes, the switching functions of normally open, normally closed or change-over can be realised for the defined liquid level. 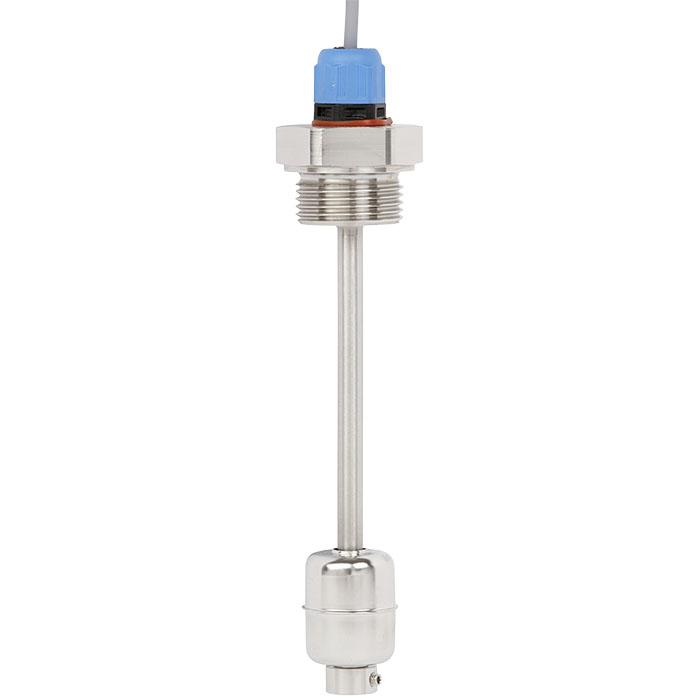 The optional temperature output enables the medium temperature to be monitored by means of a preconfigured bimetal temperature switch or a Pt100/Pt1000 resistance signal.